who understand the deep hurt you feel. This can be a confusing time when you feel isolated and have many questions about things you are facing. GriefShare seminars and support groups are led by people who understand what you are going through and want to help. GriefShare is a friendly, caring group of people who will walk alongside you through one of life’s most difficult experiences. You don’t have to go through the grieving process alone. Contact the church office at (330) 343-1322 or email us for additional information. Next sessions TBA. Contact the church office at (330) 343-1322 or email us for more information. 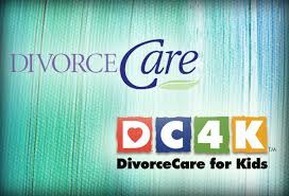 ﻿Divorce Care For Kids (DC4K) provides your children with a safe and neutral place to gain an age-appropriate understanding of separation and divorce. They will learn how to process and share their feelings. For 13 weeks your children become involved in a fun, caring group that meets near you. The weekly session topics help your children learn that God’s love strengthens them and helps them turn their sadness to hope and their anger to joy. Other people don’t truly understand how tough it is to be a single parent—day after day after day. Sometimes you want to give up. And that’s a normal reaction—you’re doing the job of two people. You should be tired. The thing is, you deeply desire to do what’s best for your kids, but you worry that you can’t. Sometimes it’s all you can do to survive from one day to the next. So what can you do? Single & Parenting groups address these concerns. You’ll discover how to deal with your deep-down worries and your day-to-day struggles. At a weekly Single & Parenting group, you’ll meet with other single parents to learn and discuss some amazing parenting strategies and hope-filled insights.